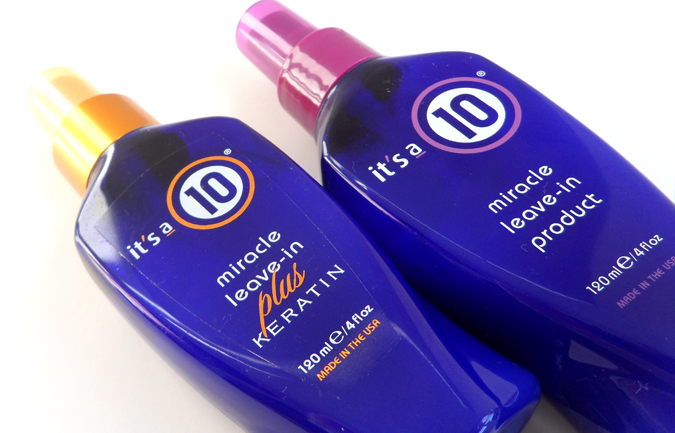 It's a 10 - A Perfect 10 Every Time Miracle Leave In ... the flagship product of It's a 10 Miracle Leave-In is an ideal solution for smoothing hair, eliminating frizz, restoring shine & enhancing natural body. You can use the Leave-In product on its own or as a restorative styling product. Whether you're a straight platinum blonde or a curly dark brunette Miracle Leave-In will work to bring out the best in your hair! At RIAH Hair Studio we carry the following "It's a 10" haircare products: Miracle Leave-In Product Miracle Leave-In Product plus Keratin Miracle Daily Conditioner Miracle Dry Shampoo & Condition In One Ask your RIAH stylist about it ... for more detailed information visit It's a 10 Haircare online. Precious Oil Versatile Caring Oil - Offering the utmost respect to color-treated hair & the environment, contains 100% biodegradable ingredients & is a Paraben & Silicone-Free formula, earning it the prestigious Green Seal certification. Ten (10) uses in one bottle! 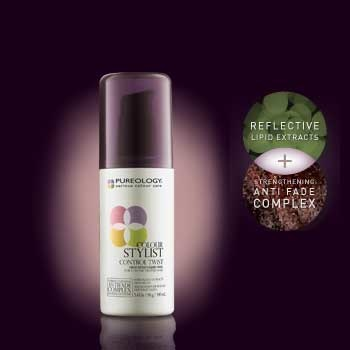 Pureology Colour Stylist Lustrous Volumizer Bodifying Glaze for Colour-Treated Hair - Now you can infuse hair with maximum volume & lasting control with heat protection. 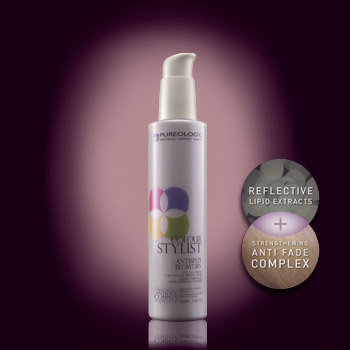 The exclusive AntiFadeComplex maximizes color retention. Contains full-spectrum UVA/UVB sunscreens. 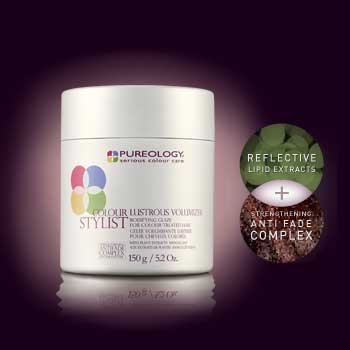 Pureology Colour Stylist Control Twist - High-hold liquid wax for color-treated hair. Create pliable definition with maximum hold. Design & redefine hair, whether it's short, long or layered while enhancing shine & color vibrancy. 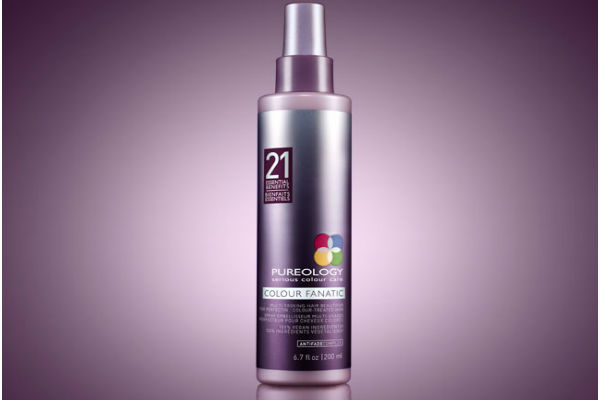 Pureology Colour Stylist Illuminating Curl the 24 Hour Shaping Solution - Define curls & waves with an added dose of shine while maximizing the vibrancy of color-treated hair. Lightweight. SELF Magazine Healthy Beauty Awards 2012 Best Curl Cream! 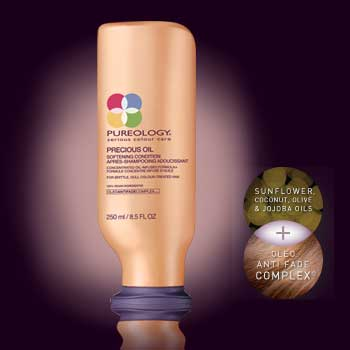 Pureology Colour Stylist Anti Split Blow Dry - Add moisture & reflective shine for an easy blow-dry while protecting & maximizing the vibrancy of color-treated hair. Lightweight, humidity-resistant cream. 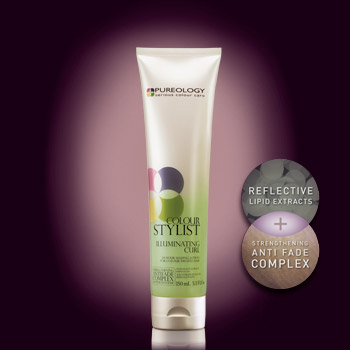 Health Magazine Beauty Awards 2011 Best Styling Product. Kenra Volume Spray 25 For more than 50 years, Kenra has been formulating & producing hair care products using only the finest ingredients. Kenra products are distinguished by using a blend of pharmaceutical-grade & cosmetic-grade ingredients that provide extraordinary performance. Kenra Volume Spray 25 provides super, all-day hold. It's a fast-drying formula for finishing any style. Provides excellent humidity resistance. Shimmer Lights by Clairol Professional Out with brassy and in with shimmer & shine! Special formulas make silver, blonde, red or brunette hair look vibrant. 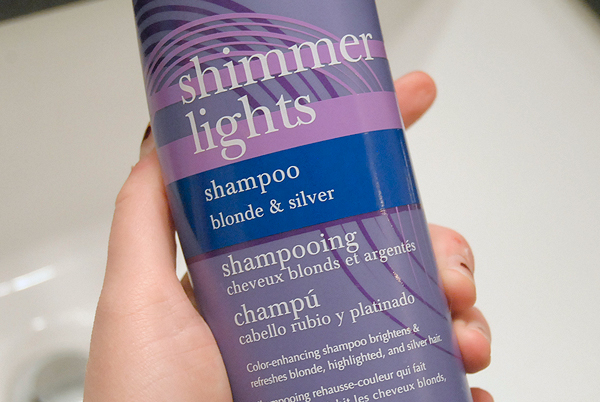 Want to learn more about Shimmer Lights? Visit the Clairol Professional website for more information on this amazing product! 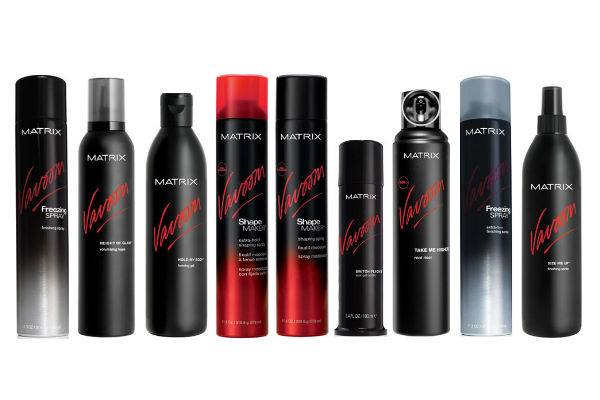 Vavoom by Matrix Here's a modern, salon-style, finishing line for instant high-glam styles! Mix & match any products in the collection for endless styling possibilities. At RIAH Hair Studio we carry Hold My Body Forming Gel (a lightweight formula that keeps hair in place it adds high definition for big, bold, glamorous styles) and Height of Glam Volumizing Foam (fully moveable hold with lasting style memory, creates big glamour volume, lift & shine). Visit the Matrix website for more information about these and other Vavoom & related products. Quick Tan by Body Drench Get an instant summer tan with Quick Tan's salon-quality sunless tanners, the solution for a beautiful golden glow! Bronze tint for an instant sun-kissed tan. Our tinted formulas make it easy to see where to apply. Visit the Body Drench website for more information about this product & others! Living proof. 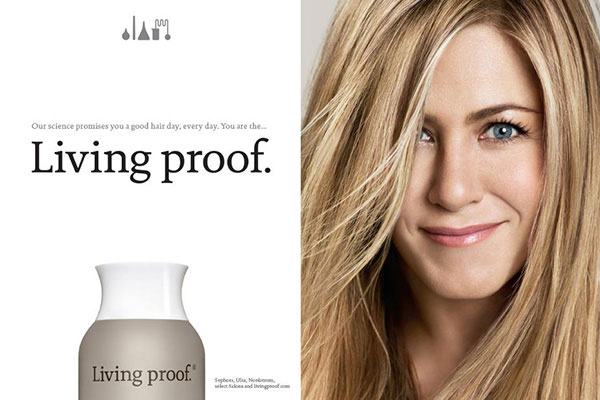 Living proof was created with a simple ambition - challenge conventional wisdom to solve your toughest beauty problems. With our team of expert stylists & biotech scientists, beauty meets brilliant science. We invent & patent new molecules that completely change how hair behaves. For head-turning, bliss-creating, confidence-boosting results. We stop at nothing short of products that keep their promise. And the only one who can prove it is you. You are the Living proof. Want to learn more about this amazing line of haircare products? 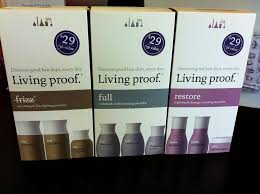 Visit the Living proof website for more information. NEW! 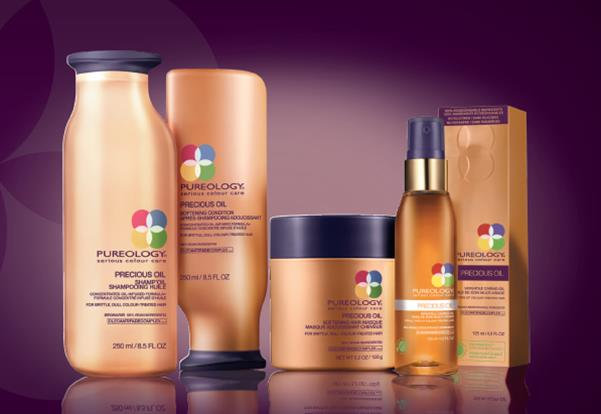 Pureology Precious Oil System Help rough, dull, brittle, color-treated hair retain it's natural shininess & fullness while also protecting your color with ZeroSulfate, ZeroSilicone Shampoos containing the OleoAntiFadeComplex. 100% vegan, ultra-fortifying formulas, offer extraordinary color protection, clarity & strength. 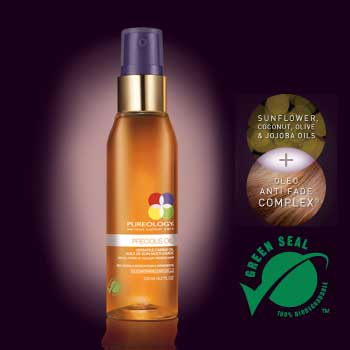 Key ingredients include sunflower, cococut, olive & jojoba oils. New! 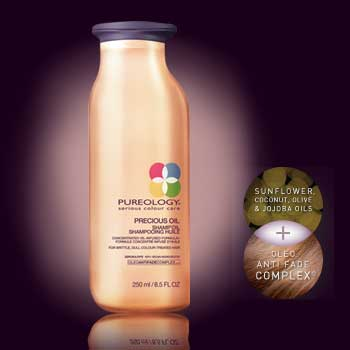 Pureology Colour Fanatic At RIAH Hair Studio we bring you the latest in quality haircare products. Now, for color-treated hair, ask your stylist about 100% Vegan Formula ... Pureology's Colour Fanatic featuring 21 Essential Beautiful Benefits. PRIME Protects against color fade Excellent leave-in conditioner Instantly detangles Makes blow-drying easier Moisturizes parched hair Helps even out porosity Weightlessly conditions Ideal cutting lotion PROTECT Helps prevent split ends Helps prevent breakage from brushing & combing Helps strengthen the hair fiber Protects against heat damage Shields against environmental damage PERFECT Smoothes out hair surface Creates silkiness Helps seal hair cuticule Reduces dryness Controls frizz Reduces static Refreshes hair for restyling Adds shine! Become a Colour Fanatic ... today!